Thank you to Pingboard for sponsoring this article. Pingboard provides an easy to use organizational chart tool that you can access for free, helping you create and maintain your own org chart. You can also sign up for a free trial of their advanced organizational charting features. For the purpose of managing your small business, there are three types of organizational charts that you’ll likely want to create — hierarchical/top-down, functional by department, and matrixed or cross-functional. A hierarchical organizational chart is a diagram that shows an organization’s reporting structure from the top-down, starting with the business owner or department manager at the top of the chart and employees who report to them appearing below their name. All roles appear in boxes connected by a line to illustrate reporting relationships. Most small businesses will use a top-down organizational chart because it’s the simpler of the three types. If your business consists of you and a few staff members who all report to you, your organizational chart would show your name at the top and your employees’ names below. It’s a bit more complicated when you begin to add supervisory staff and department heads, or have open, unfilled positions, but the basic idea is the same. 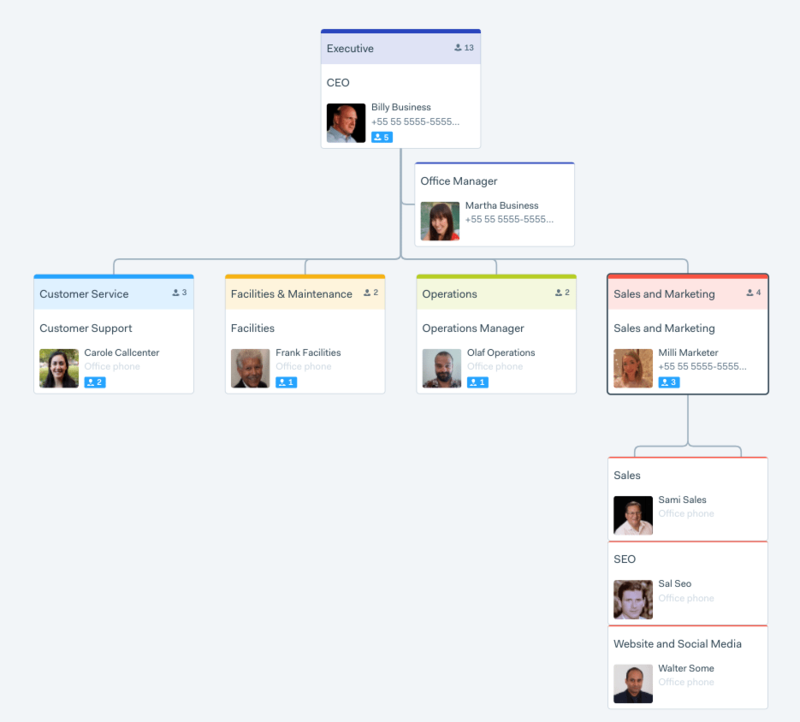 The sample organizational chart shown above was drawn in about three minutes using the trial version of Pingboard. When you build your organizational chart in an organizational charting program, the images aren’t static. For example, in the image above, you could drill down on the number of direct reports, as shown in Sales and Marketing, to see the actual names of each employee working in that department. That’s a feature you won’t have if you create an organizational chart on paper. Here’s a video showing how a user could drill down on an org chart created in Pingboard. A matrixed, or cross-functional, organizational chart shows multiple reporting relationships. It is used to depict complex business organizational structures with project reporting relationships in addition to supervisory (top-down, hierarchical) relationships. It shows both supervisory relationships, such as “who is my boss,” as well as project or team relationships. For example, in a small marketing firm that manages client projects, employees report both to their supervisor and provide deliverables to project managers. This type of firm would benefit by using a matrixed, or functional, organizational chart. You can find free tools and templates online or even find available features within your existing office software systems, like MS Office or your HR or payroll software. Or, you can find dedicated organizational chart software to create your own. Let’s review some of the more common ones, starting with those that are free. Pingboard has a free org charting tool, as shown in the images above. Many paid sites offer a free (limited functionality version) that you can use by providing an email address. Pingboard offers a seven-day free trial on its paid organizational chart options. MS Office – You can create an organizational chart in several MS Office products if you’re already using the MS Office Suite in your business. In MS Word, once you have a document open, choose Insert>Smart Art>Organizational Chart. Instructions can be found here. In MS PowerPoint, you can insert text boxes and lines to draw your own organizational chart or search for free organizational chart online templates. 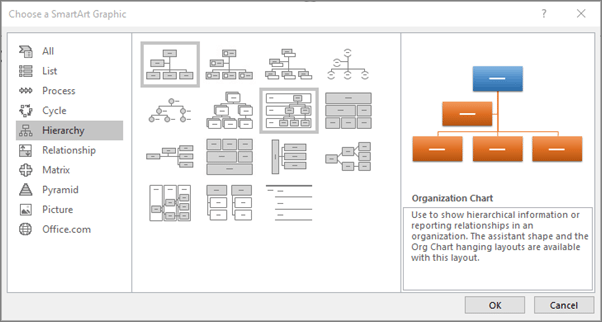 In Excel, PowerPoint, and Word, you can also download a free organizational chart add-in. Use a simple drawing or presentation program already available on your computer, like Google Slides. HR/payroll system – If you currently use an HR or payroll system like Justworks, SAP/Success Factors, or Zenefits, some can provide an organizational chart using employee data already in your system. If you just need something very basic, draw your organizational chart on paper or on a flip chart posted in your office. Free internet templates – Search for “free org chart template” and you will find plenty of free downloadable templates. You can expect to pay between $5 to $100+ per month for software that allows you to create organizational charts. These programs are great if you have a rapidly growing business, are making lots of organizational charts, or need to create other diagrams in addition to organizational charts (such as flowcharts and process maps). Many of the paid organizational charting sites offer free trials, but you may have to share your email address to get access. Organizational chart software pricing is generally structured in different feature tiers. For example, Pingboard’s starter plan gives three employees access to the software, including mobile app access, and email support in addition to the features in the free plan. Upgrading to Pingboard’s Standard or Pro plans offers advanced features such as integrations with your HR or IT software and access for your entire staff. 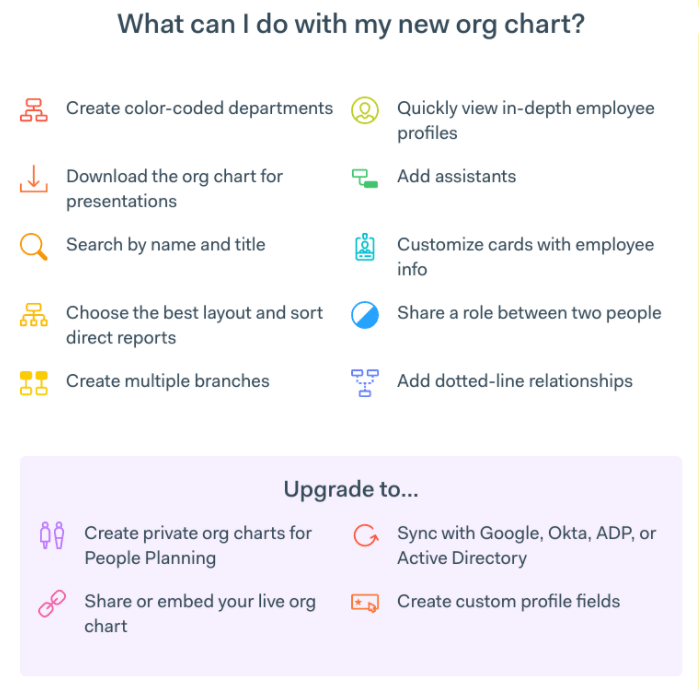 The best org charts provide tools like the ability to drill down to see detailed employee information (profiles), color code the charts, search the charts by name or job title and even add employee photos. 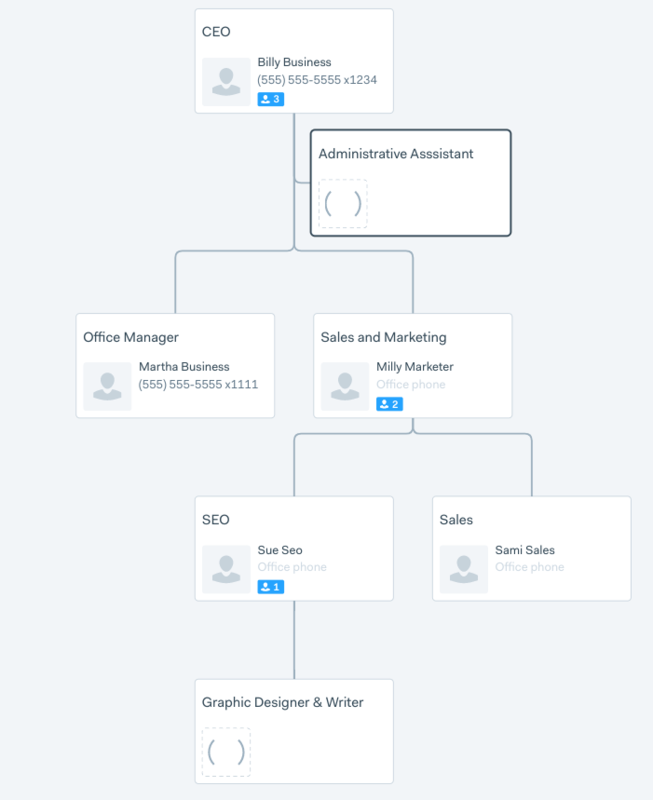 Some org chart software allows you to add additional information so that it functions more like an employee directory. 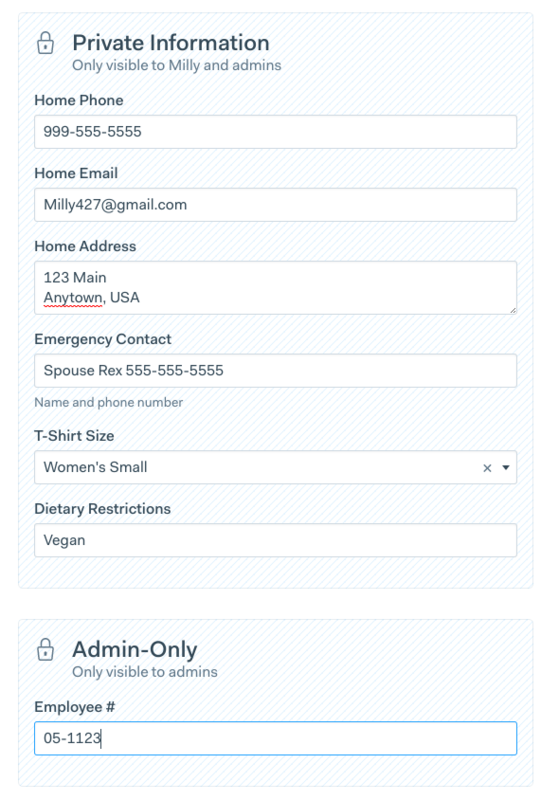 Here’s an example from Pingboard showing confidential information that only the Pingboard admin and the employee can see, including the employee’s shirt size and dietary restrictions. Organizational charts are also often important if you are applying for financing, as investors, banks, lenders, or the SBA may want to see how your organization is structured to ensure it’s likely to be successful and your business can pay back a loan. In fact, we recommend an HR best practice of having two versions of your organizational chart — one showing current employee reporting relationships (to share with your staff) and one that shows how your organization will be structured when you grow/expand, or when a staff member leaves. 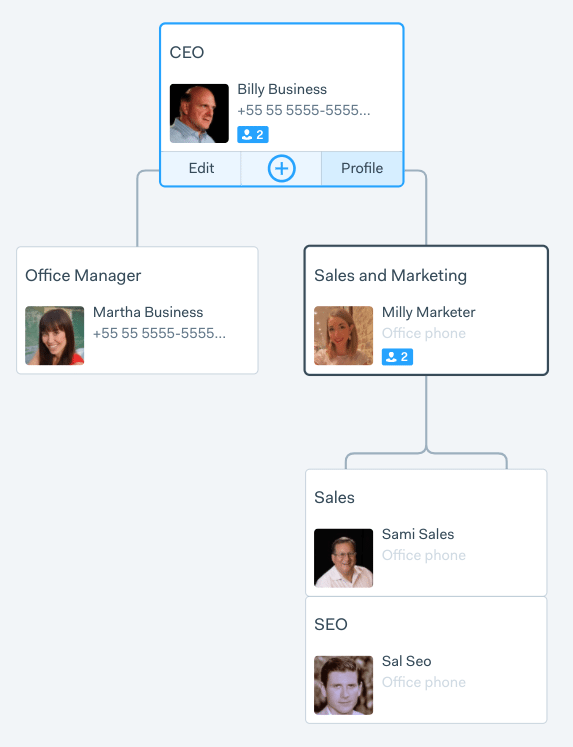 One of the benefits of using a cloud-based organizational chart like Pingboard is that you can often sync it to existing applications, so that if data changes in one system, such as Google’s G-Suite, Okta, Azure Active Directory, or ADP, it will automatically update your organizational chart, saving you time and reducing duplicate data entry and errors. 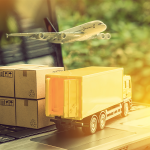 Another benefit that most online organizational charts offer is the ability to import your data from a spreadsheet or from your HR software, although this typically requires an upgrade to a paid version. 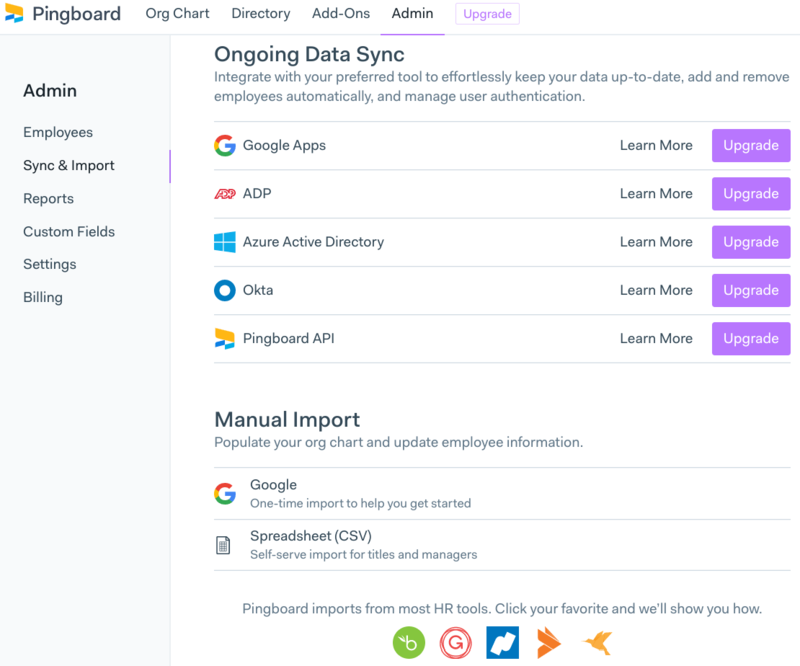 Pingboard, for example, lets you import data from a spreadsheet or Google, as well as HR, benefits and payroll software such as ADP, Gusto, Justworks, Zenefits, and others. Before spending valuable office time creating an organizational chart, ask yourself — do you really need one? If you have two employees and they both report to you, you probably don’t. But once you begin to hire more staff, an organizational chart is an important tool. We recommend you keep your organizational chart simple at first. For example, you can create a free organizational chart on one page using Pingboard and then update it by adding or deleting boxes, lines, or text. Whatever you choose to do, don’t forget to keep your organizational chart current as your business grows — jobs, people, and responsibilities change. Your organizational chart will likely increase in complexity as you go from three employees to 15 to 50. So save that first one you scribbled on the back of a napkin — you might look back on it with nostalgia one day.